Tempur Pedic pillows are usually made of delicate memory foam that can be very hard to clean. Unlike other pillows, you can’t clean Tempur Pedic pillows by throwing them in the washing machine. Washing them in water can cause the material to disintegrate. One cleaning mistake, and you can ruin the comfort of your Tempur Pedic pillows. However, there are ways to keep your Tempur Pedic pillows clean. 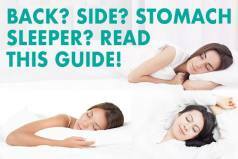 Read our article and find out how to clean your Tempur Pedic pillows as well as how to remove the stains and odors and keep them smelling fresh. Let’s us start with what you shouldn’t do. 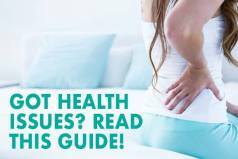 What To Avoid When Cleaning Your Tempur Pedic Pillows? How To Clean Your Tempur Pedic Pillows? 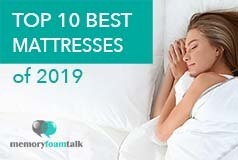 As we have already mentioned, the memory foam of Tempur Pedic pillows is extremely delicate and some cleaning methods can damage it and render the pillows useless. Therefore, you should never wash your Tempur Pedic pillows, especially in a washing machine and put them in a dryer. You should also try to avoid using industrial cleaners and harsh detergents. When washing them by hand avoid using excessive amount of water as this can also damage the memory foam material. Don’t use hot or warm water and be gentle while treating them, don’t scrub, twist your Tempur Pedic pillows. First of all, you should clean the covers of your Tempur Pedic pillows. Most Tempur Pedic pillows come with removable covers that can be washed. Remove the covers and check the tags for washing instructions. Most Tempur Pedic pillows also come with covers that can be washed in a washing machine. Set the machine on a cold setting and use mild detergent. Avoid using harsh stain removers or chlorine products. When drying the covers, set the dryer on a cool setting or simply dry it on a clothesline. To allow the pillow material to breathe and absorb fresh air and to keep your pillows always smelling clean and fresh, you can roll them like sleeping bags and then unroll them and repeat this process with rolling the pillows in the opposite direction. You should try to do this outside when it is sunny and warm and expose your pillows to the sunlight. This will kill dust mites and allow you to ventilate your pillows better. If your pillows have any unpleasant odor you can sprinkle them with baking soda and let them sit like that for at least a day and then shake them to remove the soda or vacuum it by using a special upholstery vacuum cleaner attachment. To remove unpleasant and stubborn odors from pet urine, you can use liquid enzymatic cleaner or vinegar. Be careful when doing this and use 50/50 vinegar and water or cleaner mix. Spray the pillows lightly and let the solution soak for a few minutes. Use a clean white towel to remove the solution from the pillows until their surface feels dry. If it happens that you accidentally spill something over your pillows, you should immediately take a clean white towel or soft cleaning cloth and press the spill to soak up the liquid. After this you should try to dry your pillows completely because any moisture that remains can cause the growth of mold. Take it outside if it is sunny and warm and place them on a flat surface with a clean white cloth or towel beneath, move them to a room with more air circulation or place a fan near them. Removing stains from Tempur Pedic pillows can be really difficult and can easily damage your pillows if you are not careful. To clean the stains without damaging your pillows, you should mix a small amount of mild detergent or soap with cold water and dip a clean white towel or cotton cloth into it. Squeeze the towel or cloth to get rid of excessive water and rub it onto the pillow surface gently using circular movements. Repeat the process several times if necessary until all the stains are gone. Once you remove the stains, you should let the pillows dry by putting them outside on the sun or in a well ventilated room, or use a fan. Check out our pillows reviews for more information about Tempur Pedic pillows.